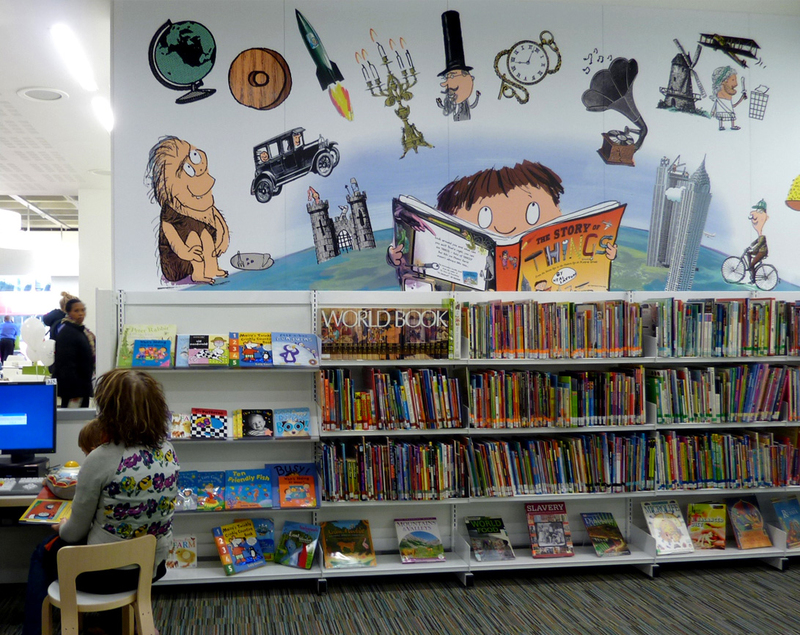 Neal Layton’s illustrations have been used as part of a major refurbishment of the John Harvard Library in Southwark. Artworks from his hilarious novelty book The Story of Everything bring the walls of the children’s area to life. I’m a bit fan of spontaneity within illustration and Neal Layton is a master of this approach. His work also exudes a sense of playfulness and humour which I think is his real main weapon.